The training is divided into two Levels of training: 1 and 2. The levels are designed in relation to typical levels of experience using OneNote in professional practice. 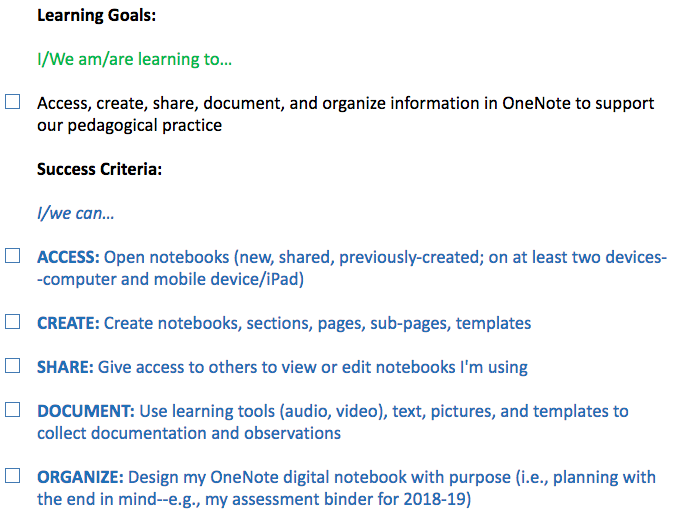 In the posted OneNote packages, you'll find a list of goals and success criteria for each level of training. Note: The training tutorials and materials can be opened through your client-based version of OneNote. 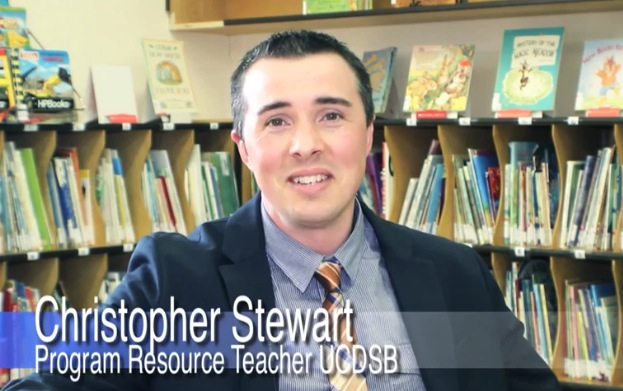 Level 1 is geared more for educators who are new to OneNote or have some experience accessing and storing information. Level 2 is designed more to be a co-created experience where educators are contemplating how they can further leverage OneNote to helping them with their formative assessment practices: assessment for and as learning. Part A of Level 2 (DOCUMENT) is an exploratory module. Educators will spend some time in classroom spaces using OneNote learning tools to capture evidence of student thinking. 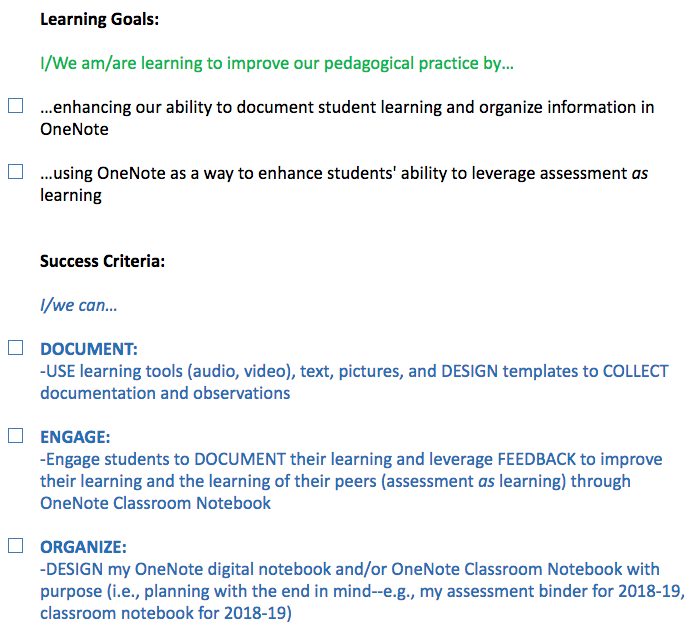 Part B of Level 2 (ENGAGE & ORGANIZE) seeks to build educators' facility using OneNote Classroom Notebook for enhancing their formative assessment practices. Have questions about further support, comments, or suggestions? Send your request using the form, below.